She has been off the show for less than 24 hours but is already making headlines. Kitty Brucknell has reacted angrily to the news that Amelia Lily has returned to the show and thinks that the X Factor producers may have planned it all along. The former Britney Spears impersonator let rip in an interview with This Morning hosts Phillip Schofield and Holly Willoughby. While Kitty admitted that she thinks it is a great opportunity for Amelia she also believes that she and the other girls lost votes because the 17-year-old was brought back. Kitty, 26, also revealed that all is not well between the judges as Louis Walsh 'egged' her on to swear at Kelly Rowland when she lost in the sing-off. When discussing whether or not her final goodbye to the show, when she sang a line from Lady Gaga's Born This Way, was organised by Louis she revealed the Irish manager had other ideas. That revelation will certainly worsen tensions between the judges who are already at war with Gary Barlow and Louis battling for head judge supremacy and Kelly and Tulisa Contostavlos at loggerheads. Kitty returned to the X Factor house this afternoon to pick up her things but it looks as though the other contestants were too busy to see her. Dressed all in black with a striped Hello Kitty bag the blonde was in good spirits as she returned for the last time to the house. The next step for Kitty is a gig on Saturday night at G-A-Y in Soho, London which she promised her fans would be 'a real show'. 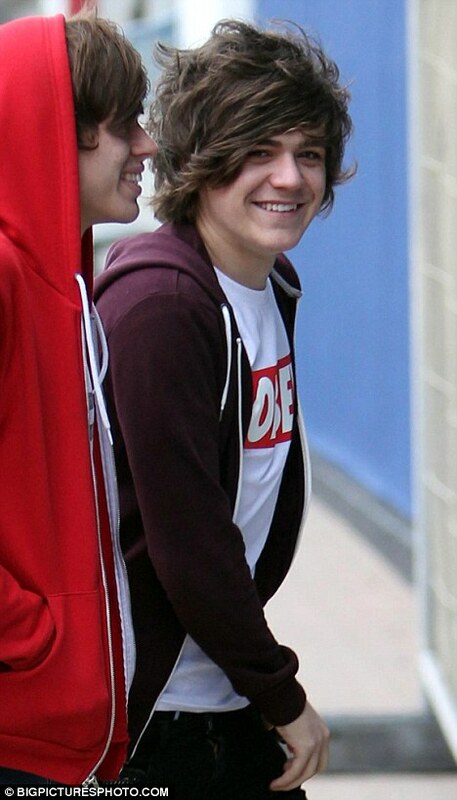 Meanwhile, exiled Frankie Cocozza was spotted in Brighton earlier today with friends. Since being kicked off the show Frankie has been keeping a low profile as he tries to figure out his next career move. The 18-year-old was sensationally axed from the show - the first contestant ever to be booted out on moral grounds - for breaking a 'golden rule', which was later discovered to be cocaine use. Amelia Lily has now been voted back on to the show as his replacement and is the bookies' favourite to win the competition.